Essentially having two jobs at the moment – the IT one that pays the bills and the writing one which I hope will someday soon contribute to the bottom line doesn’t always leave much time for entertainment after the laundry has been done, the groceries for the week purchased and the lawn mowed, but I to make an effort to find something fun to do, even it’s just watching the swans in the park. Thus, my postings become a bit sporadic and occasionally late (as in the previous one). This week was Heritage Week and whilst I had grand plans for attending many events both in Dublin and Galway, life got in the way and I was only able to catch a few things in Dublin, yesterday. I attended one and a half of the lectures at the Royal Society of Antiquarian of Ireland (RSAI). Sadly, the one I was most interested in which concerned the High Kingship of Tara, I only caught the end of (due to last minute planning on my part). One interesting thing I did discover was that at Emain Macha, reputed site of one of the ancient kings of Ulster, they found soil samples from areas outside the sacred site. This wasn’t just dust off the traveler’s boots, but more substantial fragments seeming to indicate that it was brought to the site as a unifying gesture of the surrounding areas under one monarch. 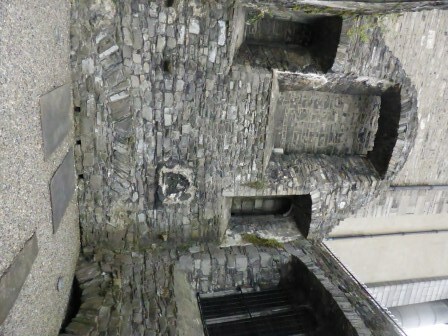 The RSAI building is well worth visiting, being one of the few nearly intact Georgian houses in the square, complete with decorative moldings. 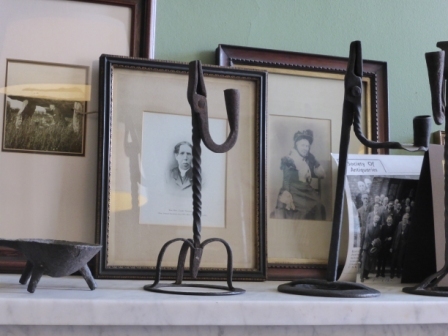 They also have other interesting tidbits in the library including a marriage stone where the crests of the two families were joined, as well as rush-light holders – wrought-iron pieces to hold the dried rush dipped in fat or tallow and used like candles. Lighting for the poor who could not afford proper candles. I also made a stop at St. Auden’s church which is a short walk past Christchurch Cathedral. It was a church that grew and shrunk over the ages. 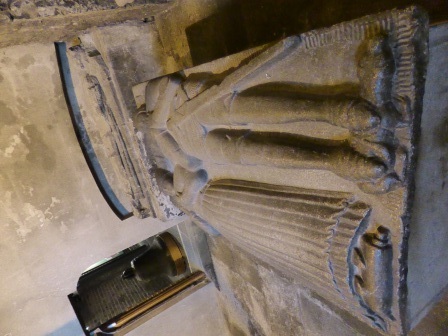 It contains some medieval remnants including a monument of a knight and his wife – Roland FitzEustace Portlester – a patron of the church in the 15th century. 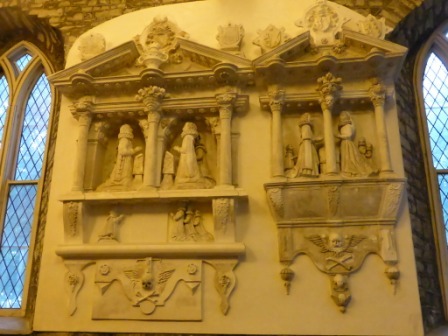 Similar to those in St. Patrick’s, two family grave monuments of the Sparke’s and Seagrave’s adorn the wall across from a beautiful organ. They would once have been as colorful as those in St. Patrick’s but were likely painted over during one of the restorations. 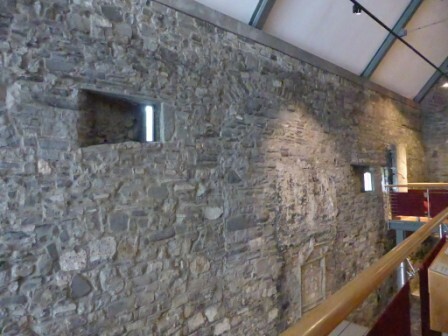 It also has some interesting miniature windows which are not cut straight into a wall, but rather angled recesses. Out in the courtyard the stonework indicates there must have been another floor under the present layer of stone and crushed rock, but little indication of what might lie underneath. Move over, Blarney Stone – if it’s luck you’re after, this is the place to come. 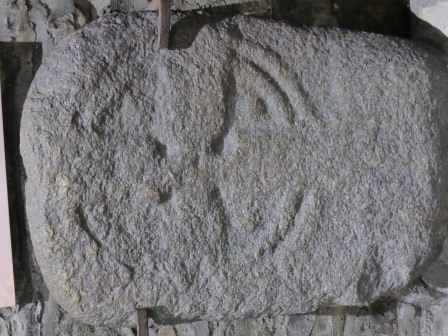 They have a stone with a Celtic cross carved on it that is called the lucky stone. 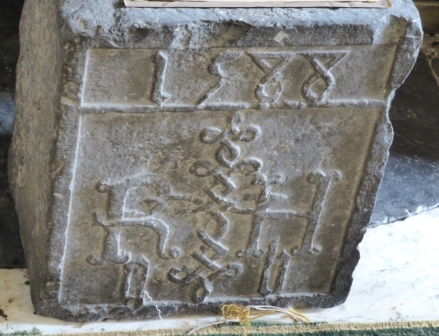 It’s a 9th century grave stone with supernatural powers such that every time it is moved away from the church it always returns. 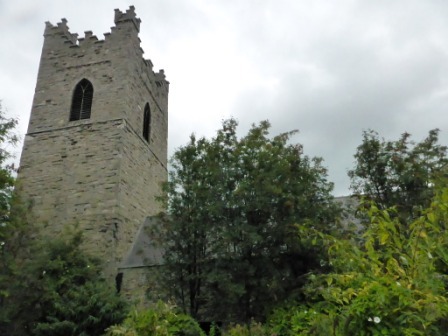 According to legend, the stone was stolen in 1826 but the farther it went from the church the heavier it became until the horse collapsed under the weight and the thieves abandoned it in a field. When workmen tried to smash it the stone rolled and moaned. My lottery tickets didn’t pay off last night, so supernatural it may be, but lucky? Not for everyone, it seems. No ancient church is without its pagan elements and in this one the garden in front of the church is populated with over half a dozen rowan trees.